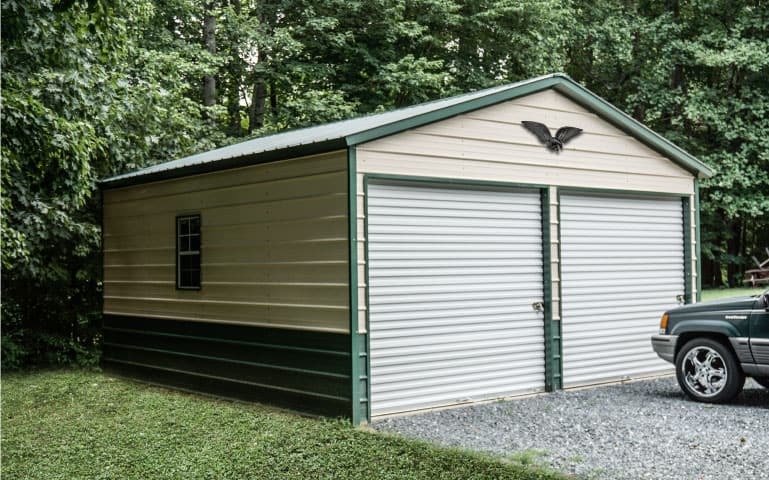 Why leave your favorite car or truck out in your driveway, vulnerable to falling hail and vandals armed with spray paint, when it could be securely stored behind the locked doors of your new garage? You don’t need to spend a fortune or wait months for construction to finish when you choose one of our vertical roof garages. 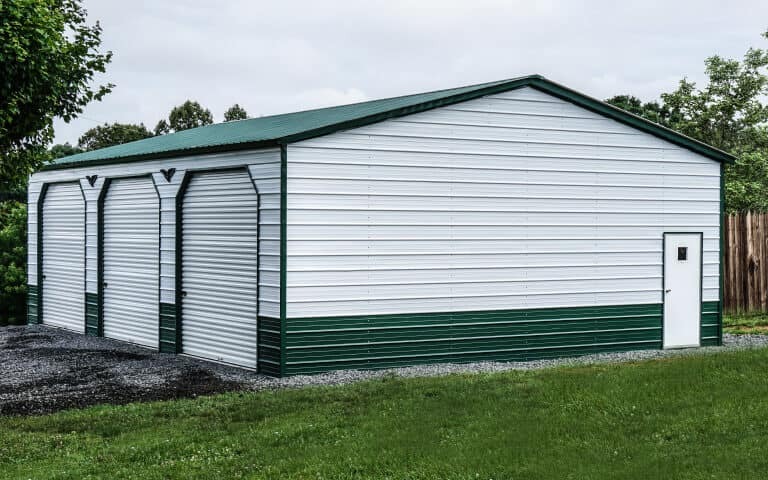 The all-steel construction guarantees long-lasting durability, while the convenient frame and panel design dramatically speeds up assembly and installation compared to traditional wood frame construction. 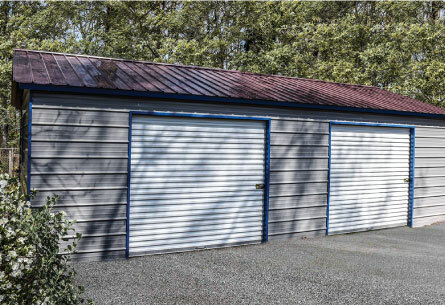 Vertical roof metal garages in particular are great replacements for traditionally built garages for a number of reasons. The roof is the most valuable feature of any of our vertical roof garages. 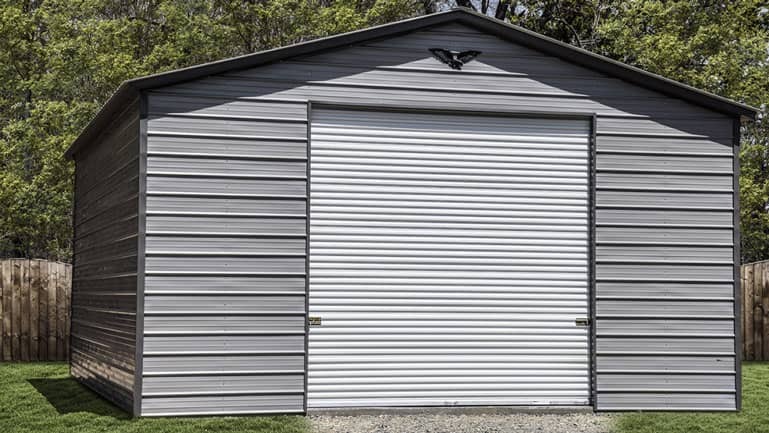 This style of steel garage construction is named after the vertical orientation of the steel panels covering the roof. 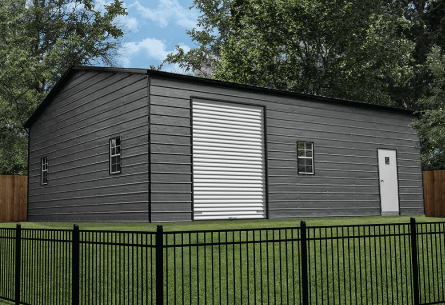 Other metal garages feature horizontal panels, which are easy to install in that orientation but not quite as strong or as fast at shedding snow and debris. Running each panel vertically from the peak of the roof down to the top of the walls reduces the chances of leaks and increases long-term durability. Underneath the roof, vertical roof garages also feature hat channels to give the panels more support. 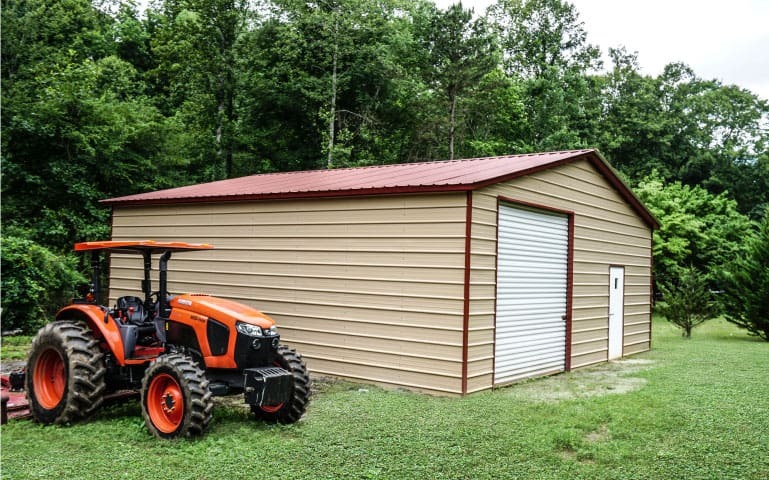 Combine these features with a welded A-frame set of supports and you’ve got a garage that lasts for decades with minimal maintenance and repairs. 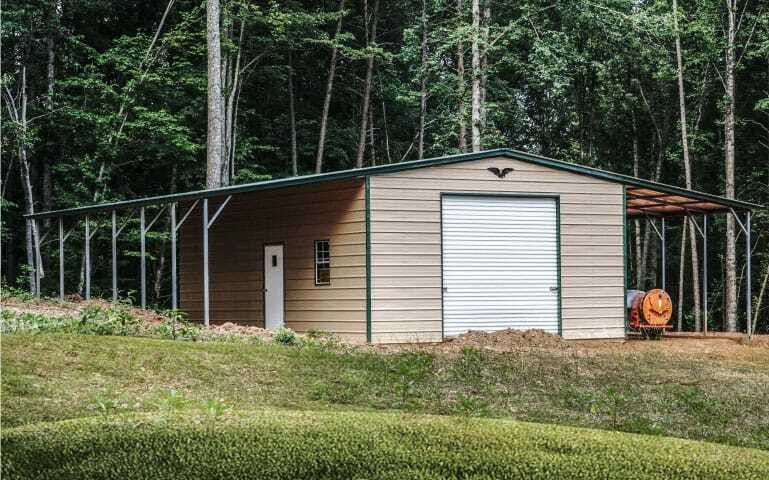 Vertical roof steel garages are stronger than than regular roof or boxed eave garages. They offer both greater capacity for holding up a load, like a foot of snowfall, and resistance against the shearing and lifting forces of storm winds. 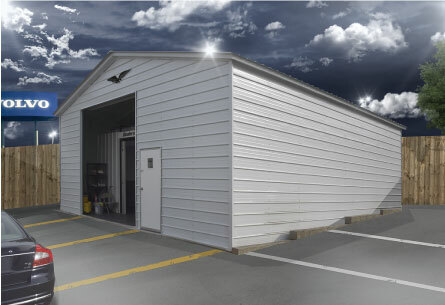 If you live in a challenging climate with seasonal tornado or blizzard risks, you need the reliability and high damage resistance ratings only vertical roof steel garages provide. Easier customization, without delays in construction since the custom features are added during initial manufacturing instead.